Summary: Hadley’s not too excited about moving into a new house, particularly since the move includes her new stepfather and stepbrother. She’s excited about the discovery of a beautiful dollhouse in the attic, though, and intrigued by the glass doll’s eye that seems to appear out of nowhere. The old lady living over the garage seems like the grandmother she never had, and the boy next door is a little peculiar, but nice enough. Events take a sinister turn, however, when Hadley accidentally wishes her stepfather and stepbrother away, and her mother starts acting like a Stepford wife. 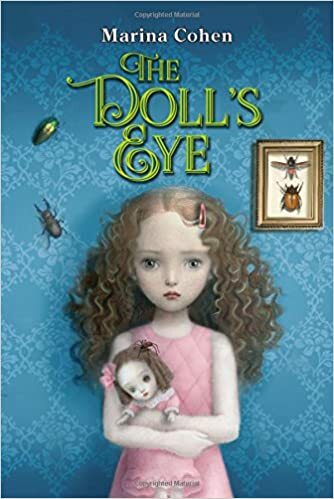 These incidents seem tied to the dollhouse and its occupants, and Hadley becomes increasingly desperate to learn how to control her wishes and return things to normal. Interspersed through the main narrative are chapters told by the first girl who lived in the house with hints of how her life may be tied to the present. The old lady (ominously named Althea de Mone) shows her true colors as events come together in a creepy conclusion. 208 pages; grades 4-7. Pros: The menacing details start on page one and don’t let up much right through the end. Horror fans will find this hard to put down. Cons: There’s a happy ending for everyone…except the reader.